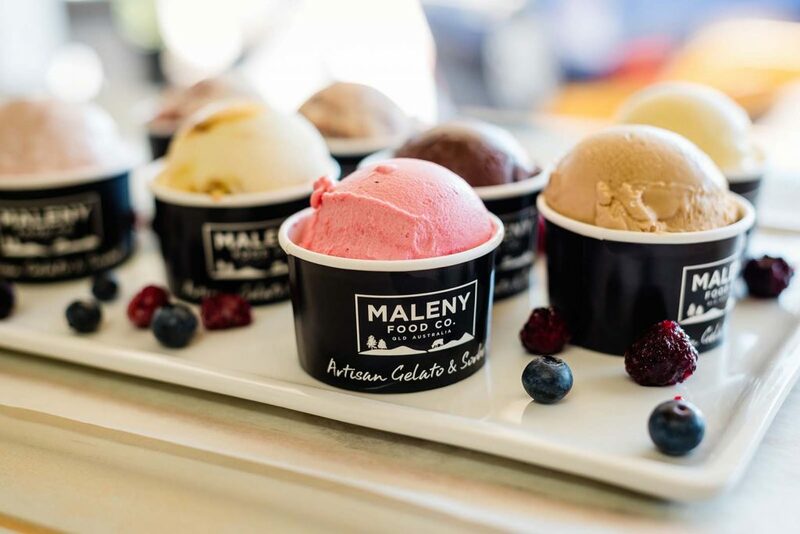 There are so many factors that make our gelato and sorbet so special, and we love sharing what makes Maleny Food Co. gelato different. We start the day by collecting fresh Guernsey milk and cream from a local family farm that we know produces the best quality milk in an environmentally sustainable way. The milk is collected daily from happy cows who roam Maleny’s vast green countryside and is taken straight to our manufacturing facility where we begin to transform it into our amazing gelato. We have more than 100 flavours, and the list is always changing based on customer requests, trends and seasonal produce. Nothing but the purest ingredients are added to our gelato and sorbet, and when creating our amazing flavours we love to use quality Australian produce such as North Queensland mangoes, Buderim Ginger, Nutworks Macadamias, Queensland Strawberries, and many more. DID YOU KNOW: Eight of our flavours were awarded GOLD at the DIAA Queensland Dairy Product Competition in July 2017? We make our gelato and sorbet fresh daily using traditional, artisan techniques. Our product is made in small batches by churning rather than whipping the base to produce the perfect rich and creamy texture. We hand stir only pure and simple ingredients to create delicious flavours and award-winning products. Our most important wins are the return customers, the smiles as we hand over the perfectly scooped gelato, and all the feedback we receive from far and wide! We believe the passion and love for what we do is the most important ingredient, and one of the key reasons our gelato and sorbet are so special. From making fresh high quality products, through to seeing the friendly faces that stop into our café, we all love what we do each and every day, as well as the amazing region we are lucky enough to be a part of. This entry was posted in Maleny Food Co.. Bookmark the permalink.